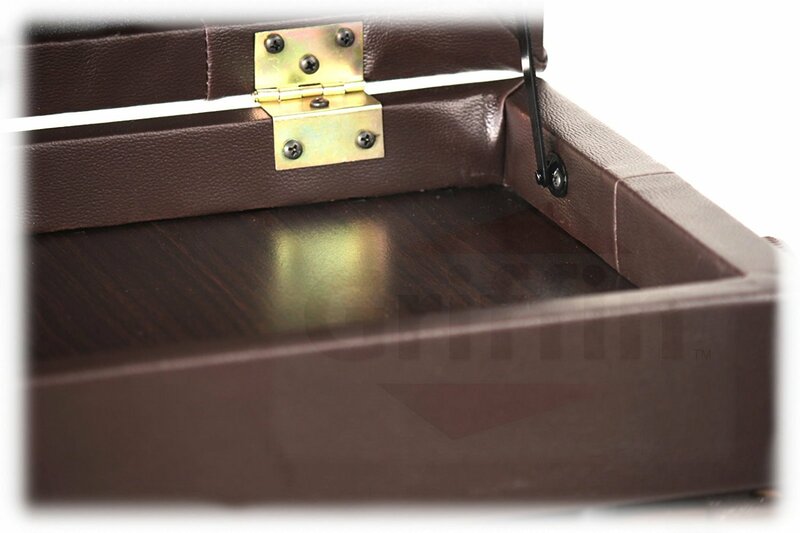 Indulge In The Comfort & Exquisite Design Of A Premium Adjustable Leather Piano Bench! Our synthetic leather padded piano bench can be easily adjusted to height ranging from 19 up to 23.5 using the simple hand-turn knobs, so that everyone in your family can comfortably seat on it. 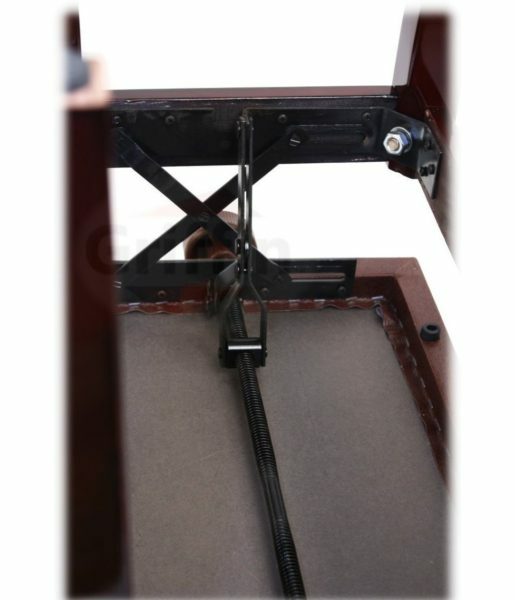 Thats why we confidently back our cushioned leather piano bench with a hassle-free 30-day money back guarantee and an exclusive 1-year full warranty! 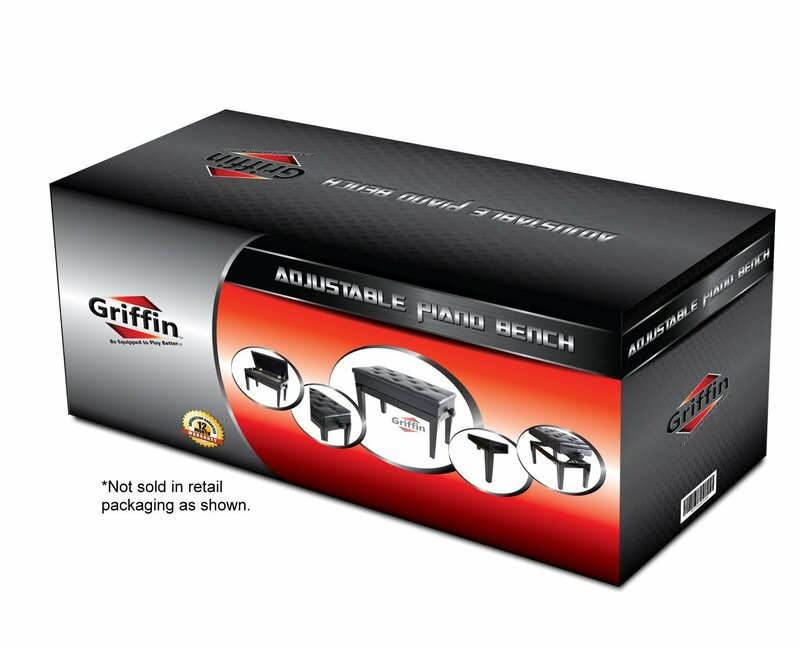 Click Add To Cart Now While Supplies Last! 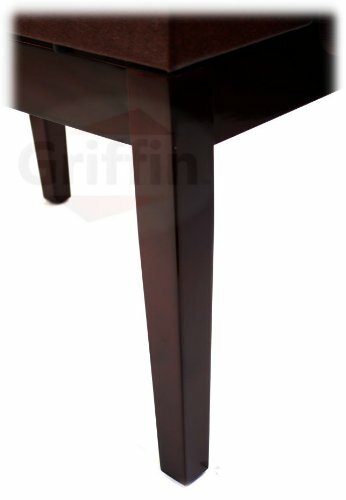 LUXURIOUS DESIGN FOR MAXIMUM CONVENIENCE – Our antique piano bench features a synthetic leather padded seat which is not only comfortable, but also extremely elegant. 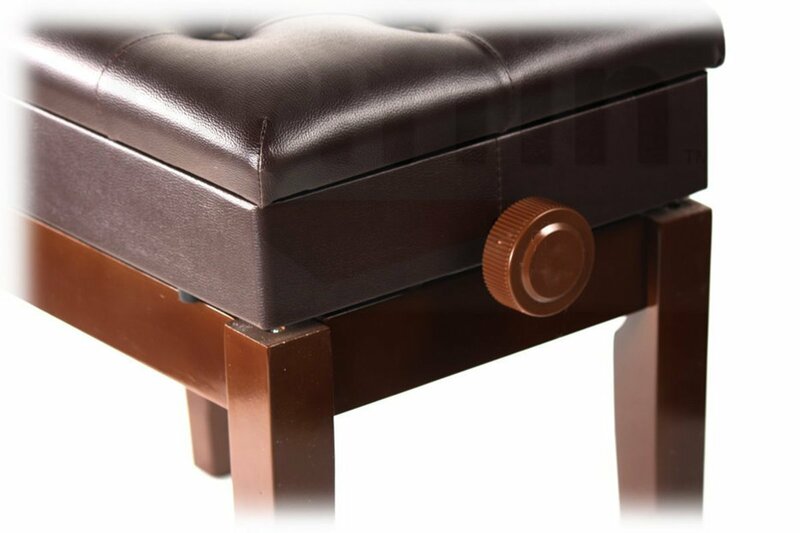 The vintage design, will complement your furniture and the soft, smooth leather texture will offer you an unmatched feeling of luxury. 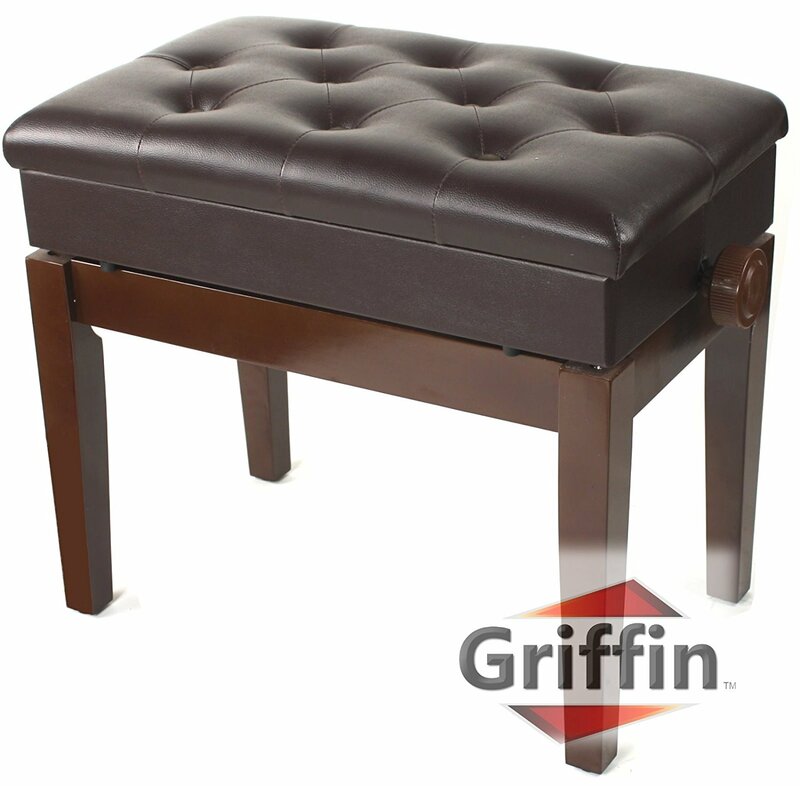  In addition, the Griffin keyboard bench features a solid wood frame and legs for optimal stability and performance. 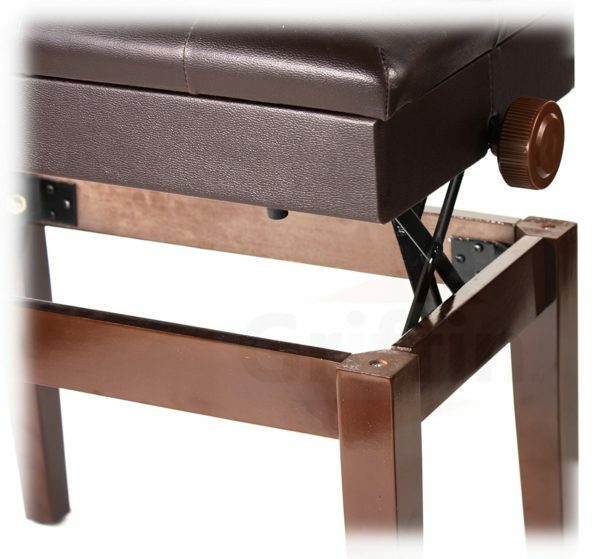 ADJUSTABLE & HEAVY-DUTY PIANO SEAT – The height of the padded piano stool is 100%adjustable, so every member of your family can easily use it. 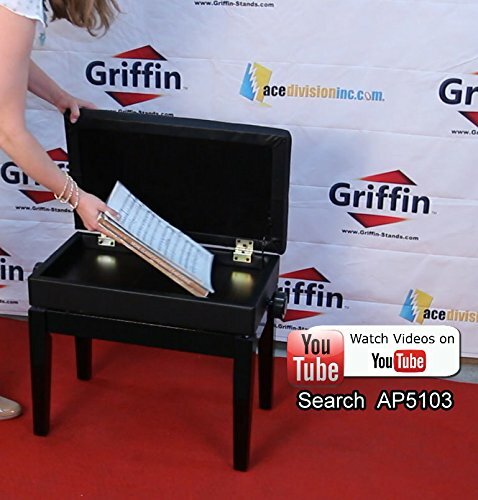 All you have to do is turn the simple knobs and adjust the height from 19″ to 23,5″. 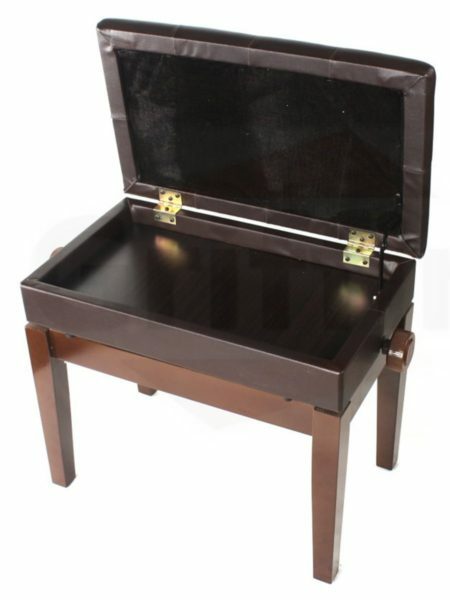 Plus, our sturdy and durable piano vintage leather chair features a convenient, hidden storage space, under the seat, which can hold your music sheets or books!